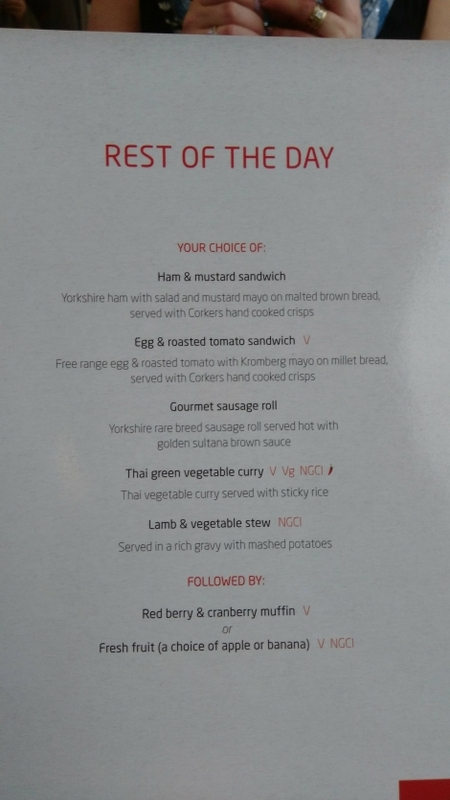 What do you get extra in Virgin Trains First Class? 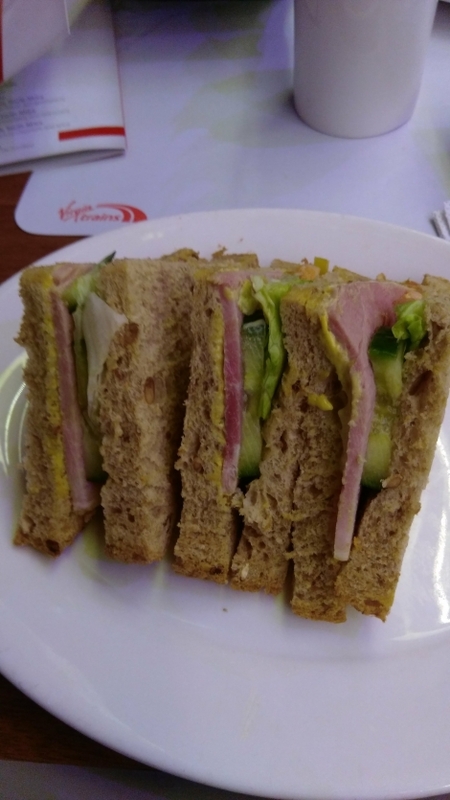 Virgin Trains First Class – I don’t often get to travel first class when I travel by train, especially if it is the four of us (my budget won’t stretch that far), but if it is just me I can sometimes justify it. It’s especially attractive if there is some sort of sale or deal on. Often in January The Train Line or Virgin Trains run a good promotion. During the sale, if you looked hard enough, they were selling York to London return tickets for just £10 standard and £40 first class. When I was debating this I wanted to know just what I would get for the extra money, but didn’t find a great deal of information. I wanted to know if you go free food on First Class Virgin Trains, or whether you got free alcoholic drinks. 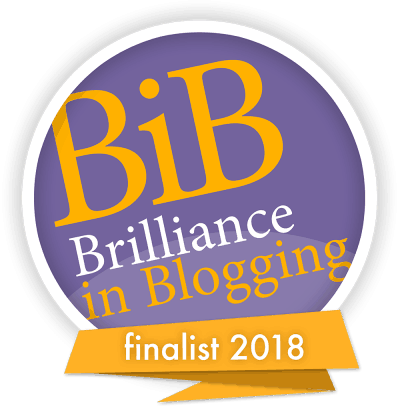 So, I am writing this for you! 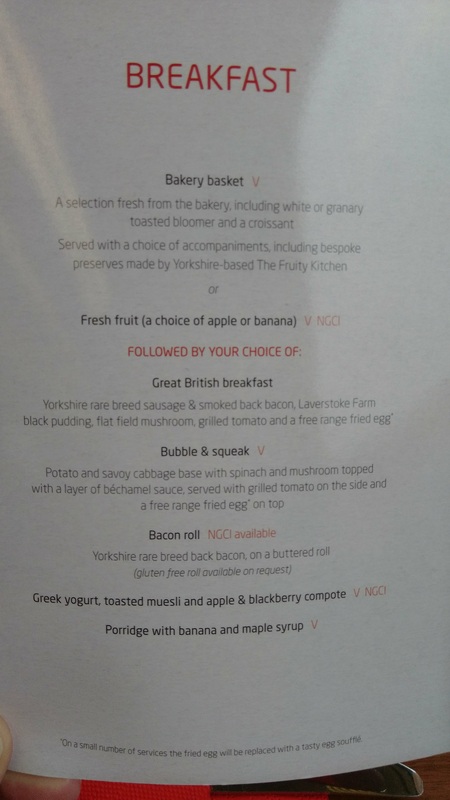 I took photos of the menu (excuse if they are a bit blurry – the train was moving!) I’ll intersperse them throughout the post. 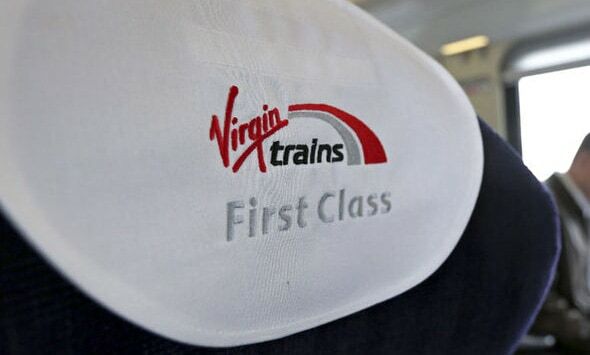 So, what do you get in First Class Virgin train journeys? Now, first of all the seats in First Class are roomier, so that is good. They also recline, so much more comfy. The arrangement of the seats is different to Standard class, in First Class you have tables of four and tables of two. (As well as forward facing singles and doubles). A table for two is perfect for a leisurely chat on your way to check out a show or see the sights! When you book ahead (which you should as this is when you get the best prices – seats are released 12 weeks ahead of time) you can also choose your seat from the Virgin Trains seating plan. This means that you don’t have to elbow your way onto the train and fight for a seat. Much more relaxed! So, other than more bottom room, “What else do you get included in 1st Class on Virgin Trains?” I hear you cry! Well, quite a bit actually! Virgin Trains First Class Free Alcoholic Drinks! We travelled down to London in the morning and were offered breakfast. 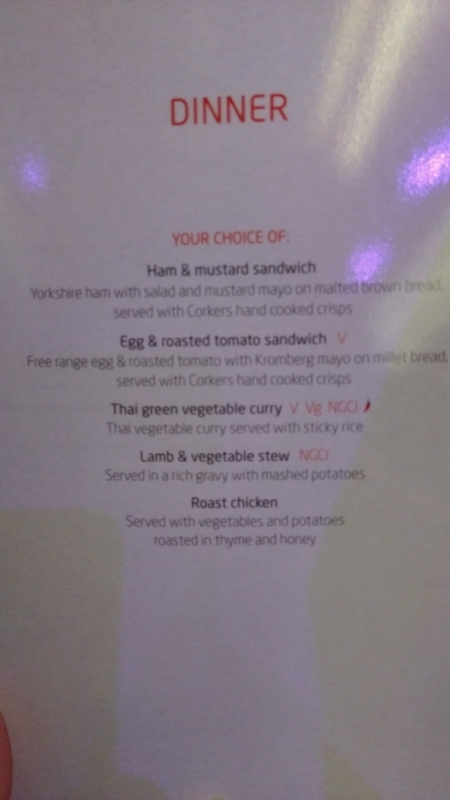 I took lots of pictures of the Virgin Trains menu for you as I know that is exactly what I would want to see! I opted for the Great British breakfast. We were also offered tea and coffee, and once I had finished my breakfast we were offered toast and croissants. It broke my frugal Yorkshire heart, but I had to decline these as we were booked in for a meal at the fab Thai restaurant Busaba in Covent Garden (have a look at my review, fab food, great value). 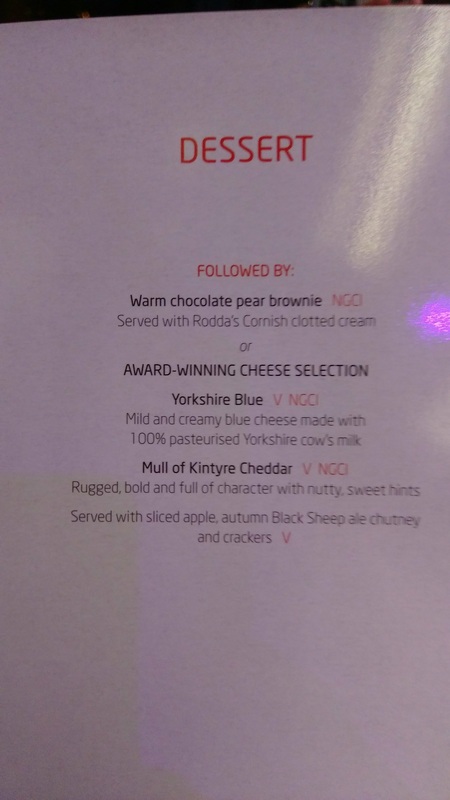 Evening Meal on Virgin 1st Class Trains – plus Wine! On the way home things improved again. We were offered hot meals or sandwiches and then dessert or cheese and biscuits. 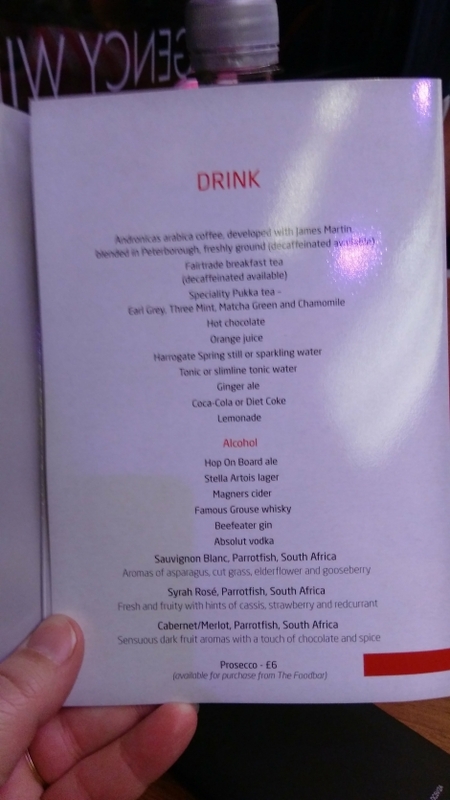 What I was particularly impressed with was the free drinks – including alcoholic drinks (well we were on a rare day out!). I asked for a glass of white wine and was given a good size glass. Then our server handed me the rest of the bottle as there was not a great deal left in it (about three quarters of a glass). I just thought it was a really nice gesture, plus – more wine! A little later she returned and offered more drinks. My First Class ticket, as I mentioned cost me £40, so £20 each way. Between my two meals, cheese and biscuits, not to mention my two-and-three-quarters glasses of wine, and free Virgin Trains wifi I think I got a good deal. Oh yes, and the train travel as well of course! Now, we were very lucky to get the tickets during a promotion. The normal price is usually higher than £40 return even at 12 weeks out and gets progressively much higher the nearer you get to departure day. But, if you can get a similar price then absolutely go for it! We travelled First Class from York to London on the East Coast mainline. I don’t know if the same amount of food is offered for shorter journeys or on different routes. 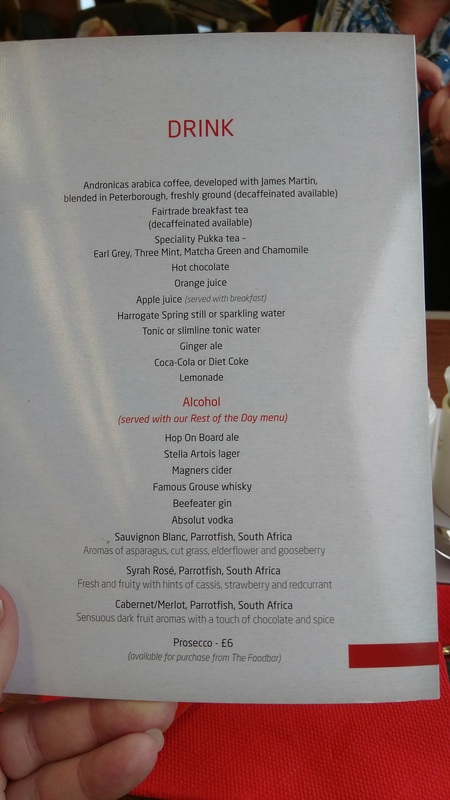 Please Pin – What exactly do you get extra with Virgin Trains First Class? for later.